Apply today for a FREE wholesale membership. Applying is fast and easy. Simply download and fill out the application form and email it to wholesalewackywilly@gmail.com Once your application is approved a Online catalog with the complete wholesale list and prices will be emailed to you. Have questions not answered below? Call the office at 778 426 3335 and we would be happy to assist you. What if I don't have a Business Licence ? Bulk pricing is available for those that do not have a Business licence. Please fill out an application and a representative will contact you to with bulk pricing options. A representative will be call to get billing information and verify shipping details for first time orders received by email. Wholesale orders are normally packaged and shipped next business day. 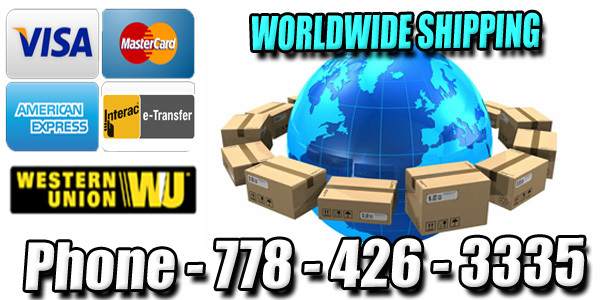 Shipping can take 4- 7 business days, Shipping times vary depending on location and customs. Items are shipped with Canada Post or Fedex, The cost of shipping is based on weight and ranges from $20 to about $40 for an average order internationly. You can request a Shipping quote once you have placed your order. © Copyright 2008. Wacky Willy's. All Rights Reserved.